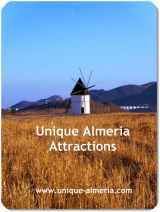 Where Federico García Lorca studied and Steven Spielberg shot a footage for "Indiana Jones and the Last Crusade"
An emblematic place in Almeria city, not to be missed on a sightseeing city tour! 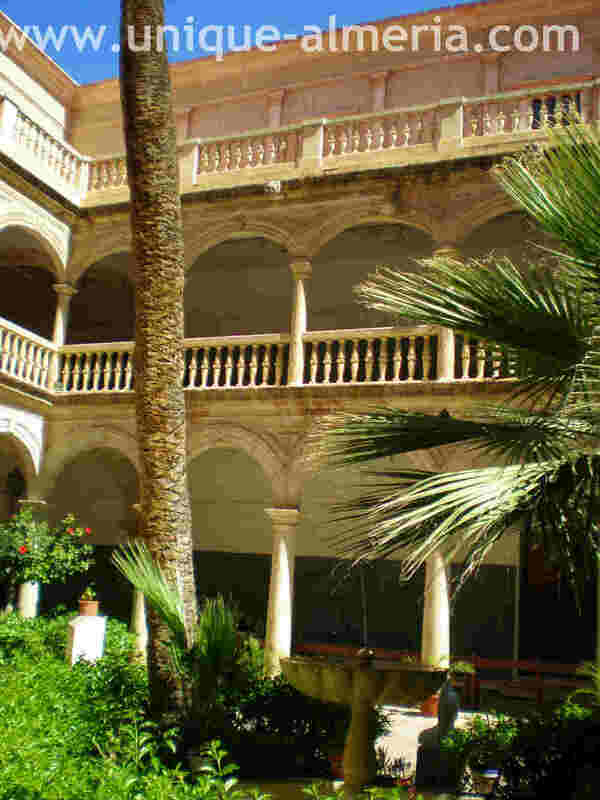 The building was part of the Dominican convent, installed in the city after the conquest in 1489 by the Catholic Monarchs. In 1819, this old convent was suppressed by Napoleon's troops and in 1822 by the constitutional government. In 1835 it was definitely victim of the Ecclesiastical confiscations of Mendizábal. In 1841 the building was devoted to teaching, which brought major reforms, both at inside and on its facades, under supervision of the local architects William Langle and Trinidad Cuartara. In 1951, College of Art & Design was finally installed in the building. The ancient cloister boasts a beautiful courtyard, probably built in the sixteenth century and remodeled in the eighteenth century, concluding the works in 1728, and shows Gothic and Mannerism details and royal escutcheons. One of its famous alumni, among others, was Federico García Lorca. Steven Spielberg withdrew shooting scenes for "Indiana Jones and the Last Crusade" in Granada when the authorities would not allow him to put a Rolls Royce in the Courtyard of the Lions in the Alhambra, as recorded by the veteran film critic Juan José Carrasco in his study "Granada and its film history ". Thus, Spielberg decided to move to Almeria , where he found the School of Arts and Crafts with a wonderful marble courtyard where he could put the Rolls Royce and thus, it became the palace of the Sultan of the Republic of Hatay in the movie. (other settings in Almeria used by Spielberg were the nearby Almeria City street "Calle Almanzor" Monsul Beach, for the footage where Indie's father shooed away pigeons with an umbrella and the Desert of Tabernas). In addition to the academic life of the school, its incomparable setting also serves for holding exhibitions and events that take place throughout the year, which especially complements the creative and cultural activity of the School.